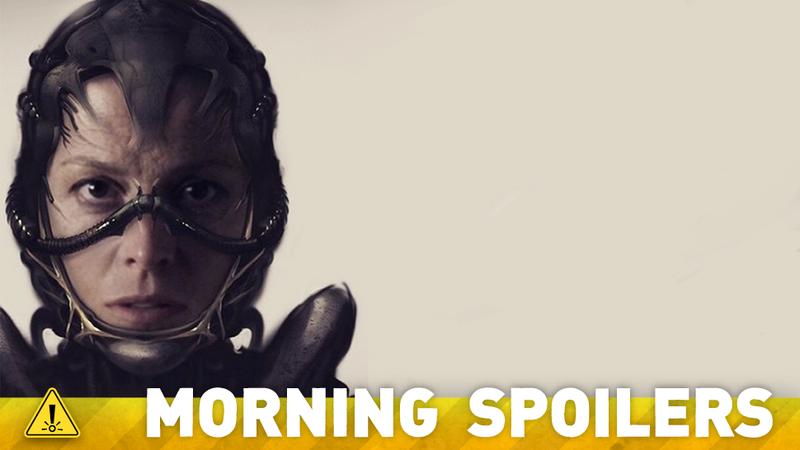 Is The Prometheus Sequel Hitting The Brakes on Neil Blomkamp's Alien 5? Could a member of Rogue One’s cast be a character from the original trilogy? The Guardians of the Galaxy cartoon reveals Rocket Raccoon’s origin. Gotham casts another Batman villain—with a twist. Plus, J.J. Abrams on piecing together what we’ve seen of The Force Awakens, and a look at The Last Kingdom. Spoilers! Blomkamp might not start directing Alien 5 until 2017—which could have the additional advantage of resolving scheduling problems for Sigourney Weaver, who’s already signed on to the Avatar sequels. The rumor adds that we could see Prometheus 2 in 2017 and Alien 5 in 2018. They’re all, in a way, pieces of a jigsaw puzzle that is, little by little, coming together in some form. We’re doing the best we can to simply finish this movie, and make it as good as it can be, and at the same time, dole out moments and characters and images that will be in line with what Lucas has been doing for so many years. There are many things that have been seen that of course can’t be understood yet—some things are throwaways; some things are more important. But the fundamental thing is the movie, and wanting to make sure that we are platforming and helping where we can, but not in any way ruining or divulging things that would make the experience of seeing the movie lessen. Another day, another bizarre bit of fan speculation—a new rumor is circulating that Diego Luna’s character, revealed in the first cast photo at D23 this weekend, could in fact be a young Biggs Darklighter. Biggs, if you don’t remember, was Luke Skywalker’s best-friend-turned-Alliance-pilot who perished at the Battle of Yavin in A New Hope. Production has begun on the film at Warner Bros. Studios in Leavesden, England. One new piece of casting has been confirmed as part of the press release announcing production: Samantha Morton has been cast as a character named “Mary Lou”. We are not allowed to say one thing. I am held to secrecy, but what I can tell you is that the script is amazing. They’re really wrapping up the whole series, so that just makes it a little more poignant. To be able to come back and reprise my role as Claire and my relationship with Alice, with Umbrella Corp. — you know, I’m excited to get back in it. I think the fans are just going to be beyond excited. Here’s an edit of B-Roll from Marvel’s appearance at the D23 Expo’s live action panel—the footage of Civil War and Doctor Strange’s concept art is not included, but you can read descriptions of that footage here. She’s not a bad guy. She’s uncompromising. She’s hugely successful. I’m not sure that she became hugely successful by being sweet all the time. But I think at her core, I think she’s good. According to TV Line, the show has cast Michelle Veintimilla as Bridget Pike—a sister of the recently cast Pike brothers who eventually becomes a female version of the DC comics villain Firefly, a pyromanic who wears a jetpack and has a penchant for flamethrowers. Here’s two “Origin” clips detailing how Rocket Raccoon met Groot, which were made to promote the upcoming show. Timothy Omundson has shared a new behind-the-scenes picture from filming. Finally, BBC America have released a new trailer for their adaptation of Bernard Cornwell’s series of books The Saxon Stories, set against the backdrop of King Alfred the Great’s formation of England as a single country. Additional reporting by Gordon Jackson and Charlie Jane Anders. Top image: Concept Art for Neil Blomkamp’s Alien movie.